I love all of lulu mypinkturtle‘s girls. The girls have such sweet happy faces with big beautiful eyes and the perfect pouty lips. 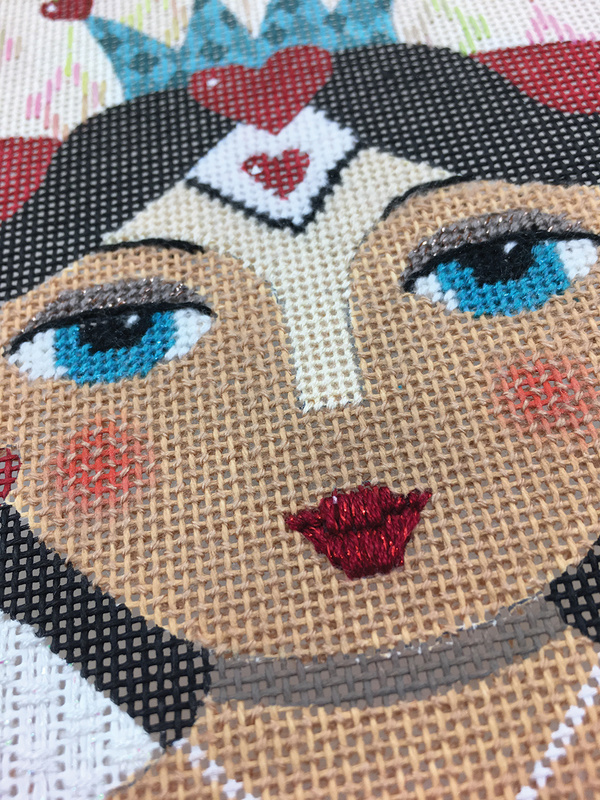 They really are a joy to stitch. 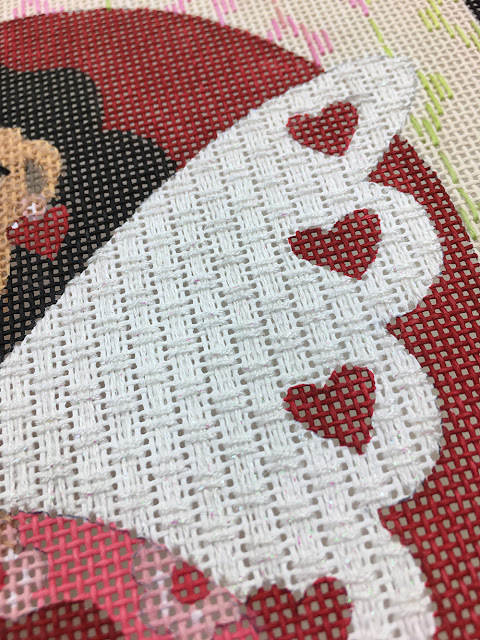 The designs are always happy and the spaces lend themselves to stitches and patterns, YAY! Yes, her face is stitched in T Stitch. Nice light coverage so let the shading show through. 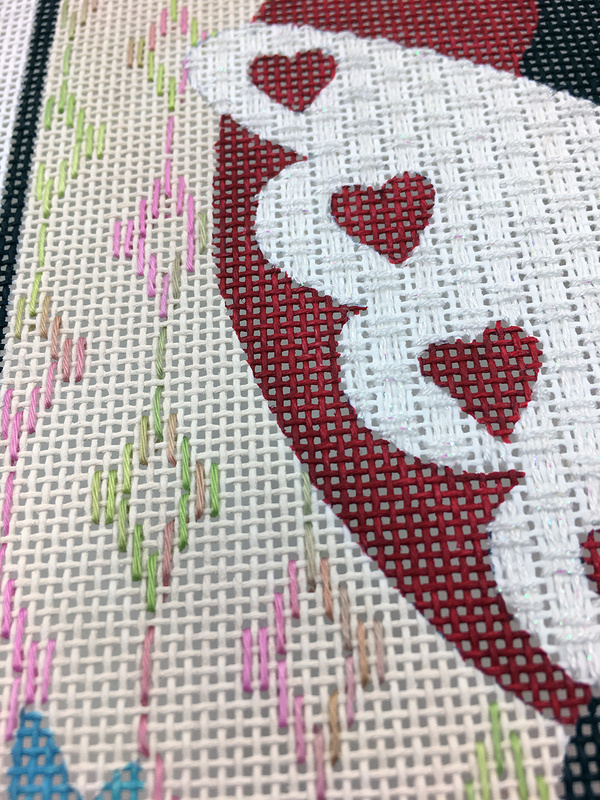 The background is a fun new stitch that shows off one of our colors of Color Dreams Floche. I love that it looks like ikat fabric. 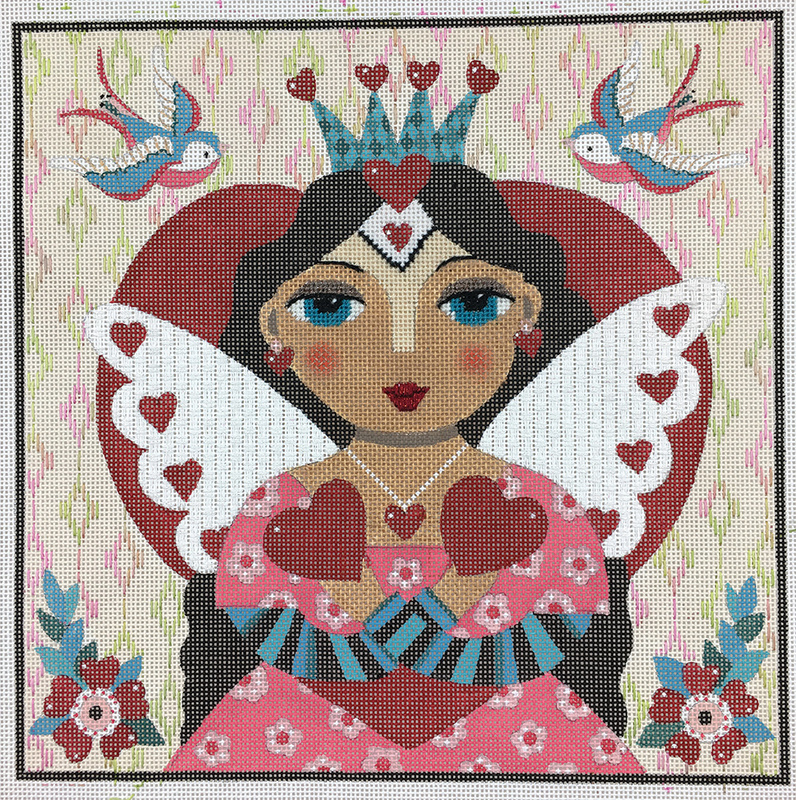 The wings are a pretty little laid filling stitch with just enough weight to it that they come forward from the background but not so heavy that she can’t fly. Here she is all together, pretty and sweet. Next lesson in two weeks. See you there. We do have a few canvases left in stock if she calls your name. Give us a call at 410.296.0405 or order online. ALWAYS an honnor to have one of my paintings stiched by your magical hands ! I can NOT wait to see the results !!! Thank YOU again and again Ruth for sharing my art in your needlework world !